MCR Safety offers a variety of choices in high visibility garments for you application or personal preference. 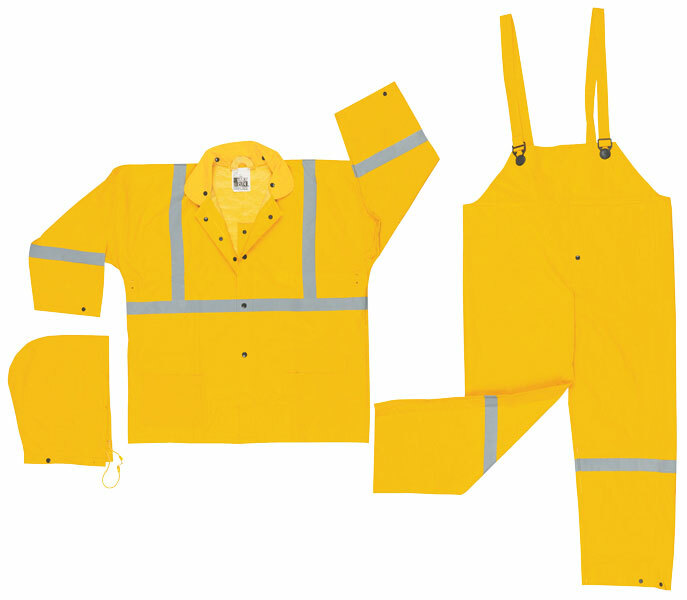 The 2403R is a yellow 3 piece suit that consist of a reflective jacket with detachable hood and bib style pants with reflective materal. It is made of .35mm PVC/Polyester material which is one of the most popular materials in the industry. This suit is NOT ANSI/ISEA 107 hi-Vis rated.